How to evaluate employee’s performance? Productive employees are the lifeblood of every recruiting business, but how do you assess their performance levels? Every company should continually monitor and evaluate their employees. Different company have different criteria and ways to determine a good employee. Here are some simple and direct ways to measure their performance. Time concept is important for a good employee. A punctual person will be more responsible and have higher productivity compare to not punctual person. Employees who regularly arrive late for work or are frequently absent from the office are unlikely to be meeting their performance objectives. Issues with punctuality also mean an employee is not doing their job to their full potential and a negative attitude may also be affecting their colleagues. Quality important than quantity. 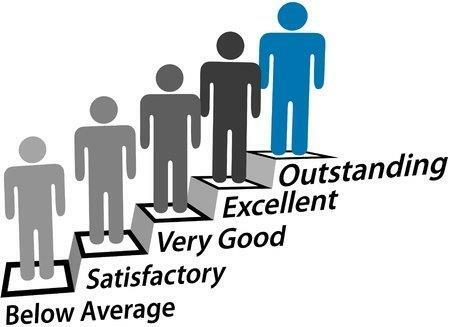 Do not just observe how many tasks that your employees able to complete, evaluate quality of their work also. Observe based on few questions such as is their attitude affecting their ability to meet your expectations? Are they committing maximum effort to projects? Answers of these questions help you evaluate performance of your employees. Bad habits can affect employee performance. These bad habits include office gossip, taking unauthorized breaks and disruptive behavior. To avoid these problems, you must tell them clearly what is acceptable in your business during interview and issue an appropriate behavioral code. A bad attitude will often manifest itself in insubordinate behavior. Again, this is indicative of an individual who is unlikely to be meeting their performance objectives. Bad attitude such as not respect supervisor, always do work on last minute and words more than action able to influence their performance. Typically, these employees will not comply with company policies and are likely to display disrespect for your company and co-workers. Most firms have a professional dress code appropriate to the job and company culture. Employees should follow dress code of the company and this little detail can direct reflect their personal image as well as your company image. It’s likely that their performance will be failing to meet your expectations too if they fail to wear appropriately. Can’t hire a good employee?